The largest undeveloped lake in Ohio, Clendening Lake is known for its great fishing and solitude. The 1800 acre lake has been retained in a natural setting with no commercial development except the marina. Recreation facilities are operated by the Muskingum Watershed Conservancy District, (MWCD). 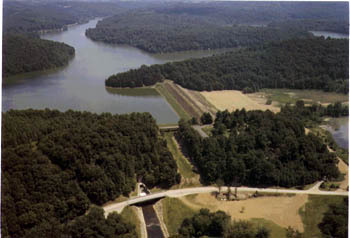 For tours of Clendening Dam, Intake Structure, and Flood Control Facilities, contact the Project Supervisor at (740) 658-3743.